Made in France. 2-3/4" brass bezel diamer x 2-3/16" movement diameter x 1/2" maximum case depth. 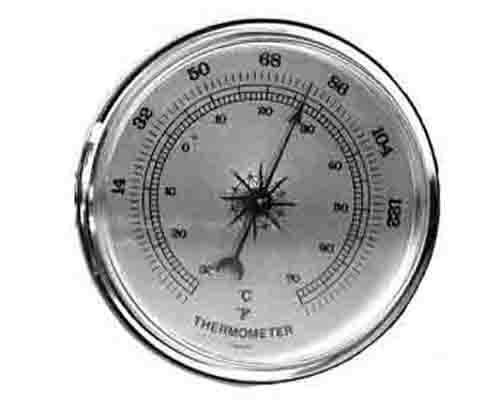 Gold faced thermometer.